with art by John August Swanson. xii + 92 pages, hardcover. 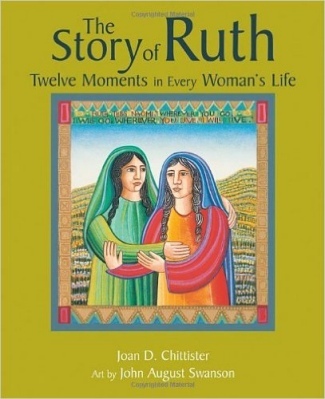 I began the book, The Story of Ruth, Twelve Moments of Every Woman’s Life at a period in my life which I was calling “life review.” I was drawn to it by an interest in the biblical book of Ruth and by my own belief that art and ideas together have great power. This is a visually beautiful book as well as being beautiful in its message. Artists are often among the invisible in our society, and giving attention to the process by which artist John August Swanson worked is an important aspect of the character of the book and the character of its author. I approached this wonderfully small volume as the perfect accompaniment for the personal retreat I had in mind. I planned to pick it up, see what stage I was in and proceed in the usual linear style that life seems to suggest to us. Then in the process I discovered that although the story of Ruth has a linear plot, there is no beginning, middle, or end for the wisdom in this book. Wherever I read, I could identify personally with what was happening with Naomi and Ruth. Chittister brings the ancient text close to home and close to world systems as they are. Sometimes closer than is comfortable! 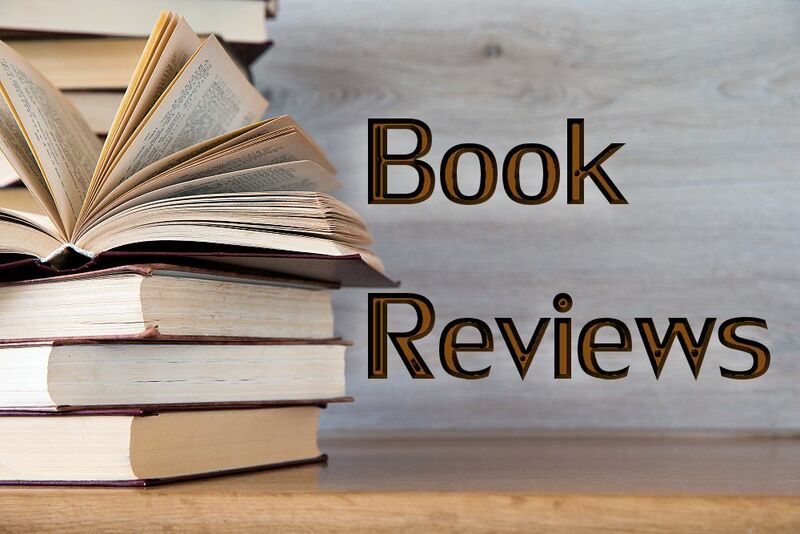 In her foreword, the author states this clear word , “In the Book of Ruth, the Word of God takes a position on women that defies the social tradition, in this day as well as in that one.” Her biblical exegesis calls on the work of contemporary women scholars of the Bible as well as men. The story of Ruth clearly needs the woman’s voice to be understood in our time or it will fall back into the voice of patriarchy, still active in society and religion today. The ultimate religious questions of redemption make new connections for us today through this story. And the biblical book of Ruth, Chittister says is as much about the redemption of Boaz and the nation, about the family and the culture, about the next generation of men and the next generation of women, about the righteousness of religion and the salvation of religiosity, about us and the disjointed world we take for granted, as it is about the redemption of Ruth and Naomi. It is a book about women helping women to break the isolation of powerlessness that affects every other man, woman, and child alive. Early in the book, the author calls the work, “Your story and mine” setting the context as a communal one. In the text of the Bible story, which begins each of the twelve chapters, Chittister recognizes these twelve moments: Loss, Change, Transformation, Aging, Independence, Respect, Recognition, Insight, Empowerment, Self-Definition, Invisibility, and Fulfillment. Each of the chapters, based on one of these moments, is rich with wisdom and insight. I can envision a group of women reading the book chapter by chapter and discussing it together, sharing their stories, evoked by the text and pictures, as well as becoming sensitive to the struggles of other women in the world who experience systemic oppression and seek to make the world better for all people. She stands at the gates of the city of Bethlehem, newly returned to the place of her birth, broadly experienced and immensely wiser than her peers. She has known death and gone on living. She has been struck down and refused to quit. She has looked square into the face of a bleak future and determined to shape it herself. She has challenged God as did the patriarchs before her and come back from an emotional grave as proof to the rest of us that God is not a noun, God is a verb. Thanks be to God for the character and witness of Naomi and Ruth, and for the character and witness of Joan D. Chittister and John August Swanson in this small invigorating, empowering book. Kathy Pigg (who uses the pseudonym Kathryn Cramer Brown for her art and poetry) is a retired United Methodist minister living in Bridgewater, Virginia. Her “Stations of the Cross: The Weight of Dust” was on exhibit at the Oxnam Chapel of the Wesleyan Theological Seminary in Washington, DC. during the spring and summer of 2008. Kathy is a member of EEWC, and many will remember the open art studio she led throughout the 2006 EEWC Conference in Charlotte, North Carolina.